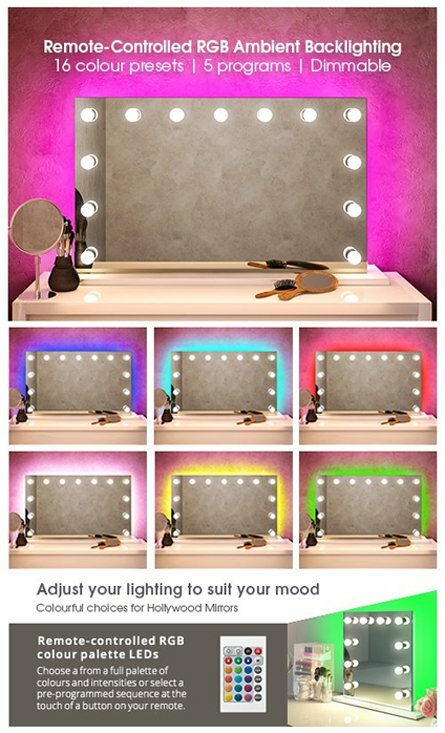 The resplendent Super Bright LED Light Bathroom Mirror brings out the inner movie star with its novel lighting, provided by highly energy efficient LEDs, evoking images of dressing room mirrors adorned with lights and magic. The effect is further enhanced with the ambient lighting radiating from behind the mirror, blending into the wall. Its wider viewing surface makes it perfect for larger bathroom walls, double sinks and wider vanities. The crystal clear heated demister mirror will never steam up, staying fog-free thanks to the in-built demister pad. 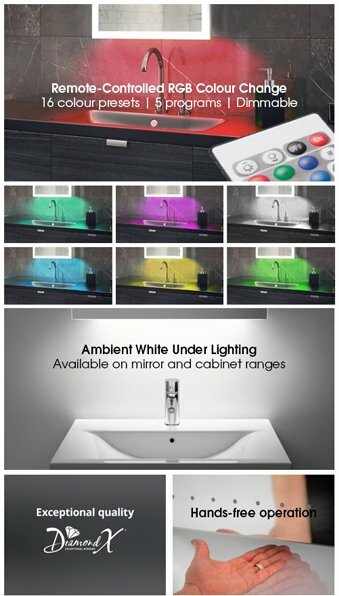 At the base of the mirror is a touch-free infrared switch to control the lighting. 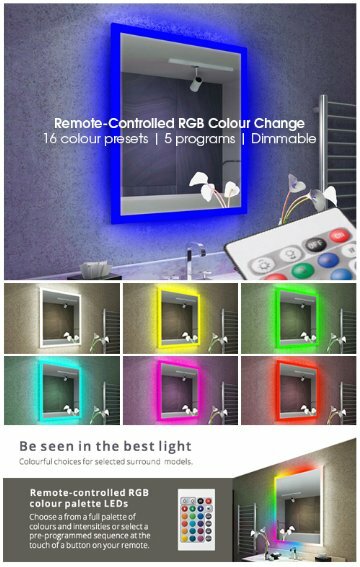 So if you’re looking for an eye-catching illuminated bathroom mirror this stunning model really does make for a great choice. Light Mirrors Our very clever and useful Illuminated Bathroom Mirrors were inspired by a team of leading interior designers. Their extensive research and development resulted in the creation of some of the most visually stunning and useful illuminated bathroom mirrors ever made. Specifically designed to enhance viewing for make-up application, shaving and personal grooming, like no other mirror. Demister and led lights switched by the 1 sensor. Good quality components used. 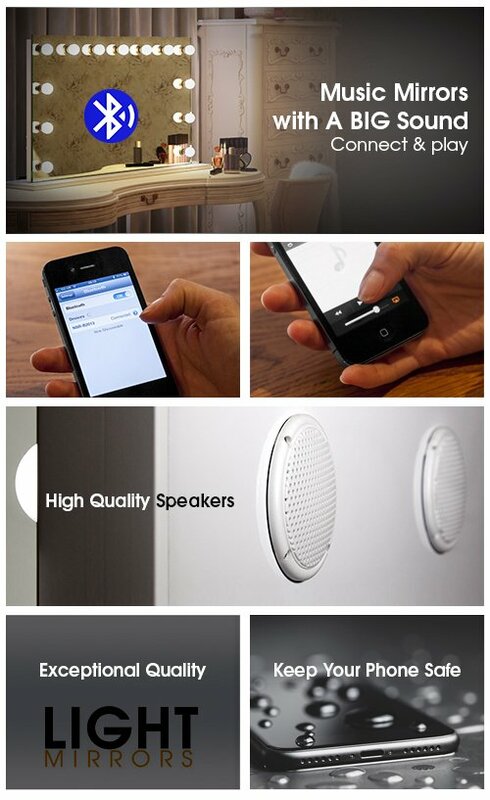 Excellent price for the above features.